According to new data from Glassdoor, more than 1 in 3 (35%) UK and US hiring decision makers expect to increase investment in diversity and inclusion efforts. Since July last year I’ve been privileged to work with a fantastic organisation Creative Equals, which aims to help organisations achieve a diverse and inclusive workplace. I’ve been involved in auditing organisations’ HR policies, conducting and analysing employee surveys and creating a system against which all organisations can be scored. Gender, ethnicity and sexuality are still the major focal points for organisations, but we found that diversity is really complex. For example, just 400 employees categorised by gender, ethnicity, sexuality, education and age make up 157 different groups. Moreover, we find that for staff, diversity of opinion, perspectives, backgrounds and experiences often matters more than gender, ethnicity or sexuality. There is a shocking underepresentation of people with disabilities, and pace of work does not allow for neurodiversity. 1 in 5 staff said they have experienced discrimination. Men on average are twice as likely to be in senior/senior management roles than women, and also dominate line management. BME staff are less likely to be recognised through involvement in business-critical projects or entering their work into awards. Employee Engagement is comprised of three inter-linked metrics: 1) the Overall Happiness, 2) employee Net Promoter Score (eNPS) and 3) one-year Retention Rate. Feeling included at work and perception that diversity is a priority for the organisation impact all three Employee Engagement metrics – with the highest contribution to the total engagement score, way ahead of pay and work-life balance. Mentorship – organisations with the highest employee engagement levels also tend to have the highest % of mentorship. Those who have a mentor feel more valued and empowered. Flexible working – overwork, alongside with finding it hard to be a parent, perceived insufficient diversity and not feeling valued lead to stress-related leave, costing organisations money. Flexible working can ease the burden of overtime and help people with family responsibilities. Social purpose – employees aged over 35 would like more authenticity and a sense of purpose for their organisations. 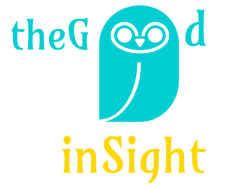 Leaving employment to set up my own consultancy The Good Insight and working with Creative Equals empowered me to be completely myself. As an immigrant I had to navigate differences in cultural norms, not knowing where the line between integration and losing oneself was. I was fortunate with all my managers and their managers, who took me as I am, mentored and encouraged me, but invisible barriers were within myself. Whilst I always felt free to express my opinions, at various points I seriously considered elocution lessons, tried to keep quiet about my values, preferences and tastes. Now I understand that being different is my strength. And I hope that the sense of empowerment created by the #metoo movement in 2017 rolls into 2018, and grows into something bigger – where everyone feels free to be #trueme.